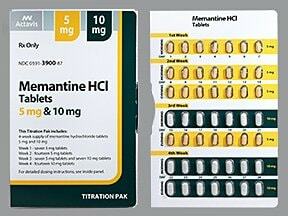 Memantine is used to treat moderate to severe confusion (dementia) related to Alzheimer's disease. It does not cure Alzheimer's disease, but it may improve memory, awareness, and the ability to perform daily functions. This medication works by blocking the action of a certain natural substance in the brain (glutamate) that is believed to be linked to symptoms of Alzheimer's disease. Read the Patient Information Leaflet if available from your pharmacist before you start taking memantine and each time you get a refill. If you have any questions, ask your doctor or pharmacist. Take this medication by mouth with or without food as directed by your doctor. The dosage is based on your medical condition and response to treatment. When you first start taking this medication, you will usually take it once daily. To reduce your risk of side effects, your doctor may direct you to start this medication at a low dose and gradually increase your dose. Follow your doctor's instructions carefully. Once your dose increases to more than 5 milligrams per day, take this medication twice daily or as directed by your doctor. 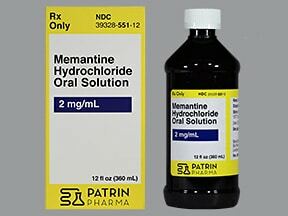 If you are taking memantine oral liquid, read the manufacturer's instruction sheet that comes with the bottle. Follow the directions exactly. Use the oral syringe that comes with the product to measure out your dose. Do not use a household spoon because you may not get the correct dose. Swallow the medication directly from the syringe. Do not mix it with water or other liquids. Rinse the syringe with water after each use. Consult your doctor or pharmacist if you have any questions. 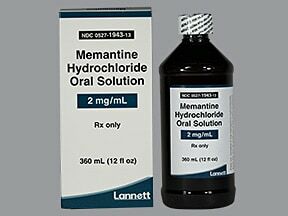 What conditions does Memantine HCL treat? Body aches, dizziness, constipation, and headache may occur. If any of these effects persist or worsen, tell your doctor or pharmacist promptly. List Memantine HCL side effects by likelihood and severity. Before taking memantine, tell your doctor or pharmacist if you are allergic to it; or if you have any other allergies. This product may contain inactive ingredients which can cause allergic reactions or other problems. Talk to your pharmacist for more details. Before using this medication, tell your doctor or pharmacist your medical history, especially of: kidney problems, severe urinary tract infections, recent dietary change (from a high-protein diet to a vegetarian diet). What should I know regarding pregnancy, nursing and administering Memantine HCL to children or the elderly? Some products that may interact with this drug include: carbonic anhydrase inhibitors (such as acetazolamide, methazolamide), sodium bicarbonate. Does Memantine HCL interact with other medications? If someone has overdosed and has serious symptoms such as passing out or trouble breathing, call 911. Otherwise, call a poison control center right away. US residents can call their local poison control center at 1-800-222-1222. Canada residents can call a provincial poison control center. Symptoms of overdose may include: restlessness, personality change, hallucinations, drowsiness, loss of consciousness. If you forget to take memantine for several days, talk to your doctor before your next dose. You may need to start at a lower dose again and slowly increase it. 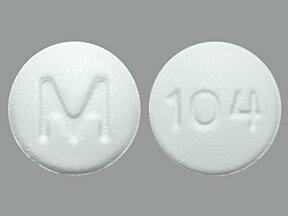 This medicine is a white, round, film-coated, tablet imprinted with "M" and "104". 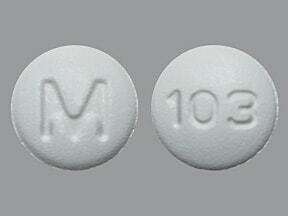 This medicine is a white, round, film-coated, tablet imprinted with "M" and "103". 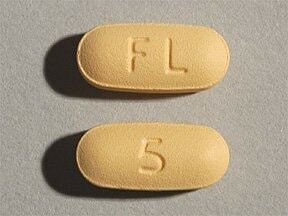 This medicine is a tan, oblong, film-coated, tablet imprinted with "FL" and "5". 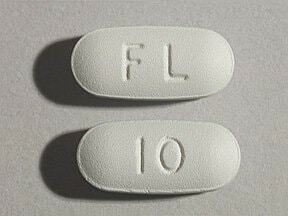 This medicine is a gray, oblong, film-coated, tablet imprinted with "FL" and "10". This medicine is a multi-color (2), oblong, film-coated, tablet imprinted with "5 or 10" and "FL". 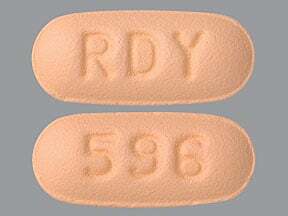 This medicine is a orange, oblong, film-coated, tablet imprinted with "RDY" and "596". 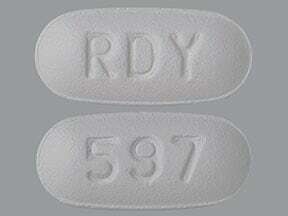 This medicine is a gray, oblong, film-coated, tablet imprinted with "RDY" and "597". 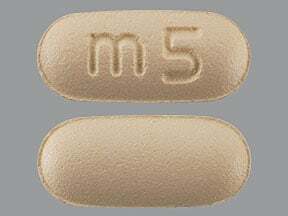 This medicine is a orange, oblong, film-coated, tablet imprinted with "m5". 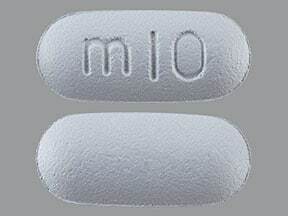 This medicine is a gray, oblong, film-coated, tablet imprinted with "m10". 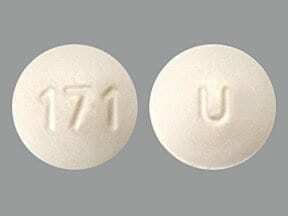 This medicine is a off-white, round, film-coated, tablet imprinted with "171" and "U". 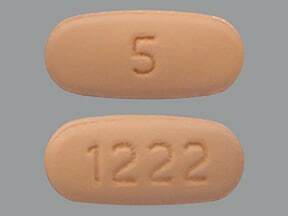 This medicine is a light brown, oval, film-coated, tablet imprinted with "5" and "1222". 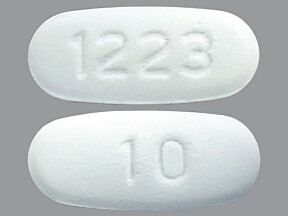 This medicine is a white, oval, film-coated, tablet imprinted with "10" and "1223". 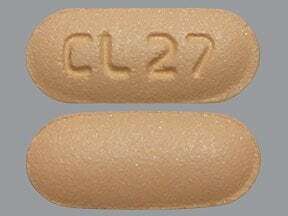 This medicine is a peach, oblong, film-coated, tablet imprinted with "CL27". 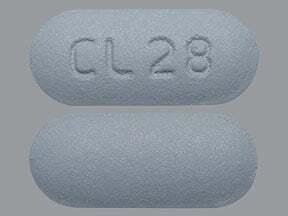 This medicine is a gray, oblong, film-coated, tablet imprinted with "CL28". 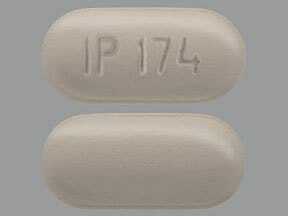 This medicine is a gray, oblong, film-coated, tablet imprinted with "IP 174". 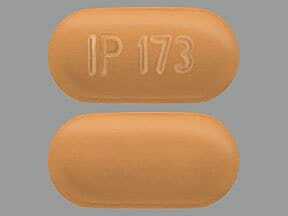 This medicine is a orange, oblong, film-coated, tablet imprinted with "IP 173". 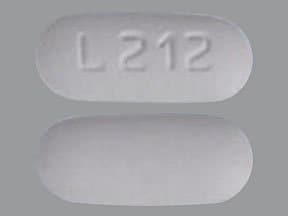 This medicine is a light gray, oblong, film-coated, tablet imprinted with "L212". 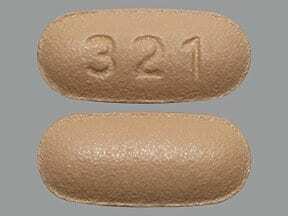 This medicine is a orange, oblong, film-coated, tablet imprinted with "321". 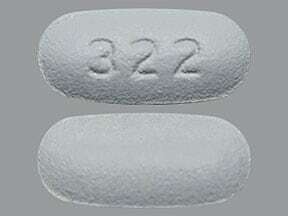 This medicine is a gray, oblong, film-coated, tablet imprinted with "322". 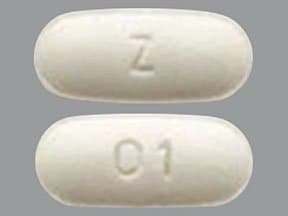 This medicine is a white, oblong, film-coated, tablet imprinted with "Z" and "01". 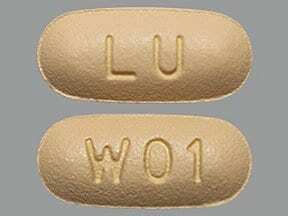 This medicine is a tan, oblong, film-coated, tablet imprinted with "LU" and "W01". 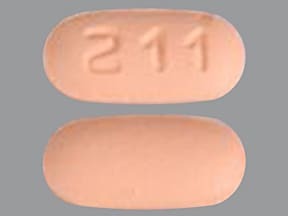 This medicine is a orange, oblong, film-coated, tablet imprinted with "211". 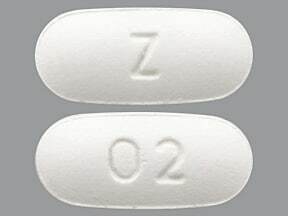 This medicine is a white, oblong, film-coated, tablet imprinted with "Z" and "02". 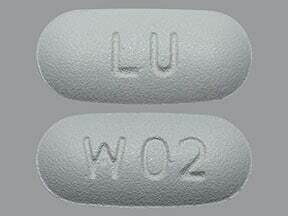 This medicine is a gray, oblong, film-coated, tablet imprinted with "LU" and "W02". Are you taking Memantine HCL? Are you considering switching to Memantine HCL? How long have you been taking Memantine HCL?